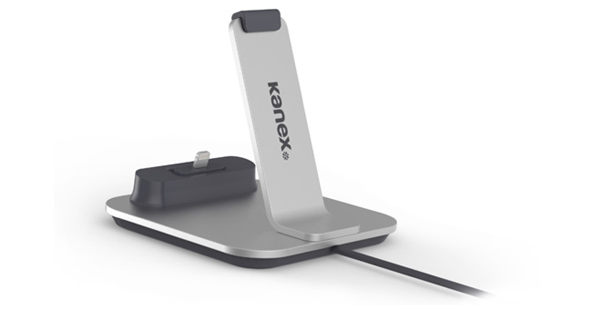 Charge and sync your iPhone in style with the Kanex iPhone 6 Dock. 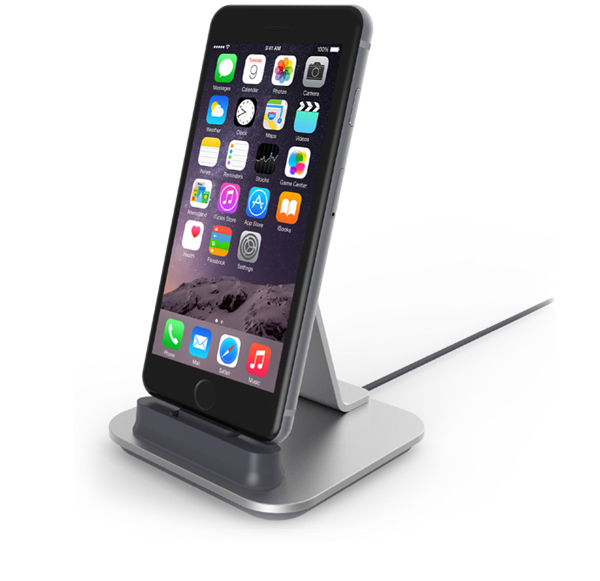 Set the iPhone Dock on your desk at home or in the office for hands-free calls and FaceTime sessions. The iPhone Dock gives you a great angle for a hands-free FaceTime, Skype, or phone call user experience. It’s also a great way to add an additional screen to your workspace so you can keep track of your iMessages, emails, and favorite apps. Equipped with an adjustable MFi-certified Lightning connector that ensures your iPhone, iPod or iPad will sit perfectly in place while you charge and sync. Beautifully designed throughout with a premium aluminum finish to match your Apple products. 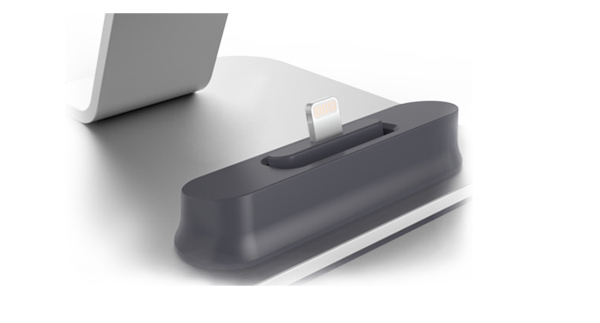 The iPhone Dock also features a sturdy Lightning connector, silicone back support, 3.3- foot USB cable, and a slip resistant base. The iPhone Dock conveniently detaches into two pieces to make travel safer and more convenient. Simply snap the aluminum back support into the platform and you’re ready to use the iPhone Dock again. * This dock is designed for iPhone without a case.